Vanessa Marshall, who plays Hera on Star Wars: Rebels has a voice that keeps her quite busy with many different projects. She was gracious enough to speak with BSCKids about her different roles on a few shows, as well as let us know what she has coming up in the future. She is one hard working individual and we had a fun time getting to speak with her about it all. Marshall currently stars as the lead in the fan-favorite series Star Wars: Rebels. Marshall plays Hera Syndulla, who is the captain of the ghost crew and a gifted pilot. The animated series has also gotten critical acclaim, earning nominations for multiple Annie Awards, a Daytime Emmy Award and, most recently the show won a 2018 Saturn Award for Best Animated Series on Television. BSCKids: Star Wars: Rebels has been nominated for many different awards. How does it feel to play Hera Syndulla on the show? Vanessa Marshall: I am a huge Star Wars fan, so it is an absolute honor! It’s a dream come true. I am very grateful to have worked on the award-winning show. BSCKids: Do people immediately recognize your voice from the show? What has been your favorite fan interaction so far? My favorite fan interaction has been… ALL OF THEM! All of the Star Wars fans have become like family to me. When I go to conventions, I get to meet all kinds of great people! I loved meeting the Rebel Legion, the 501st Legion, the Mandelorian Mercs, the Star Wars in the Classroom folks, and all of the super cool fangirls all over the world. #StarWarsFamily! BSCKids: Are you a fan of Star Wars? What would be your favorite movie in the series so far and why? Vanessa Marshall: As I said, I am a huge fan of the Saga! And I really do love all of the movies. If I had to choose one, I would say The Empire Strikes Back. Because I loved learning more about Darth Vader’s back story, Yoda and the force, as well as watching Han and Leia grow closer. And then, of course, there is always Lando and Boba Fett! What’s not to love?! BSCKids: How did you get the role of Hera on the show? Vanessa Marshall: Just like most jobs, I auditioned for the role, and I was chosen. But when I booked Hera, I fell to the ground and cried tears of joy like never before! My agent was worried that I might need medical attention! LOL! She also stars as the voice of Gamora on the hit Disney XD animated show Guardians of the Galaxy. Her character is the deadliest woman in the galaxy and is a member of the newly-formed Guardians of the Galaxy. The series, which has won two Behind the Voice Actors Awards and is in its third season. The highly anticipated second half of season 3 will premiere in 2019. BSCKids: You also voice Gamora on Guardians of the Galaxy, how do you prepare to voice her and how is that different from Hera? 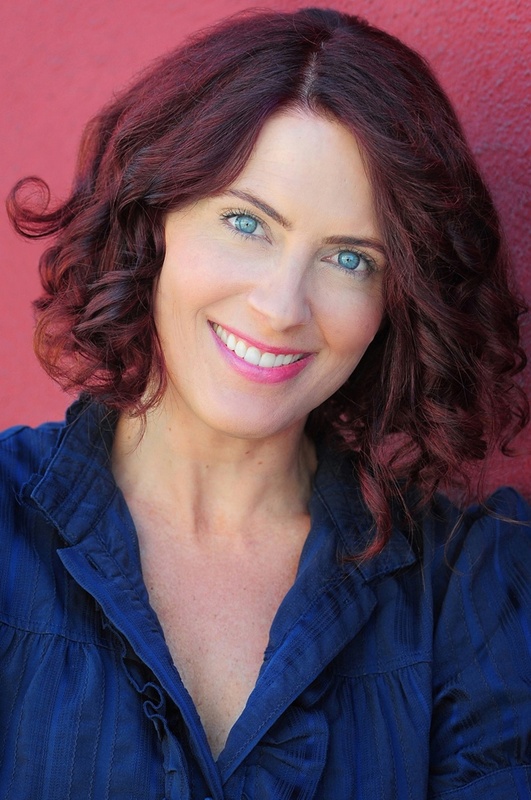 Vanessa Marshall: I have studied martial arts for many years, and I think that physical activity helps me give Gamora the grounded strength that she needs. Hera leads a bit more with her heart, so it is a different feeling. Hera is a great fighter no doubt, but I open my heart more to prepare for her. BSCKids: What would you say your hardest role to date has been? Vanessa Marshall: Perhaps playing H.Q. in SOCOM II – US Navy Seals. I had to read pages and pages and pages of commands. Those were some really long sessions. There were so many details, and I wanted to get everything JUST RIGHT. It required serious focus! I loved it, but it was intense! BSCKids: Do you find for yourself it is harder being in front of a camera or doing a voice acting role? Vanessa Marshall: It is much harder being in front of the camera. It feels like a bigger risk. I prefer the invisibility of a voice over, along with the flexibility in terms of casting. I can play older women, young boys and everything in between in the world of voice over, while on camera I am more limited. Voice overs just feel way more fun to me! BSCKids: Who has taught you the most in your career? Vanessa Marshall: My mom. She was on Dallas and Knots Landing, was the voice of Estee Lauder cosmetics, as well as Spider-Woman! She has a serious work ethic, which she acquired at Yale Drama School, and her humor is simply the best. She works hard and plays hard. She runs 17 miles a day sometimes! Her drive knows no bounds. She inspires me every day! Vanessa Marshall: You can find me on Twitter @vanmarshall and on Instagram @vanessamarshall1138. BSCKids: Are there any upcoming projects you can talk about? You can catch new episodes of Star Wars Forces of Destiny on Disney’s YouTube channel. The third season of Guardians of the Galaxy: Mission Breakout (based on the ride at Disney California Adventure Park) is on Disney XD and Marvel HQ. Star Wars Rebels, The Complete Fourth Season is now available on Blu-ray and DVD. I was also in the recent Teen Titans Go! To the Movies, and you can catch me in episodes of Ben 10 on Cartoon Network, Rise of the Teenage Mutant Ninja Turtles on Nickelodeon, and Stretch Armstrong & The Flex Fighters on Netflix. I recently did a bunch of promo spots for NBC for World of Dance and America’s Got Talent, as well as a spot for The Bold And The Beautiful on CBS – so you can listen for those! Thanks goes out to Vanessa for spending some time talking to us about Star Wars: Rebels, Guardians of the Galaxy and the rest of the projects she is working on.